These are the helper/overload springs used on all Mutts with 106 recoiless, spot lights etc to deal with the extra weight. 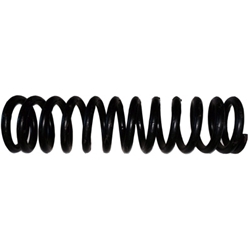 This is for one spring but two are required per jeep. Also see in related items the upper and lower adapter kit which is required too.